Basic Applied Bioinformatics provides practical guidance in bioinformatics and helps students to optimize parameters for data analysis and then to draw accurate conclusions from the results. In addition to parameter optimization, the text will also familiarize students with relevant terminology. Basic Applied Bioinformatics is written as an accessible guide for graduate students studying bioinformatics, biotechnology, and other related sub-disciplines of the life sciences. This text outlines the basics of bioinformatics, including pertinent information such as downloading molecular sequences (nucleotide and protein) from databases; BLAST analyses; primer designing and its quality checking, multiple sequence alignment (global and local using freely available software); phylogenetic tree construction (using UPGMA, NJ, MP, ME, FM algorithm and MEGA7 suite), prediction of protein structures and genome annotation, RNASeq data analyses and identification of differentially expressed genes and similar advanced bioinformatics analyses. 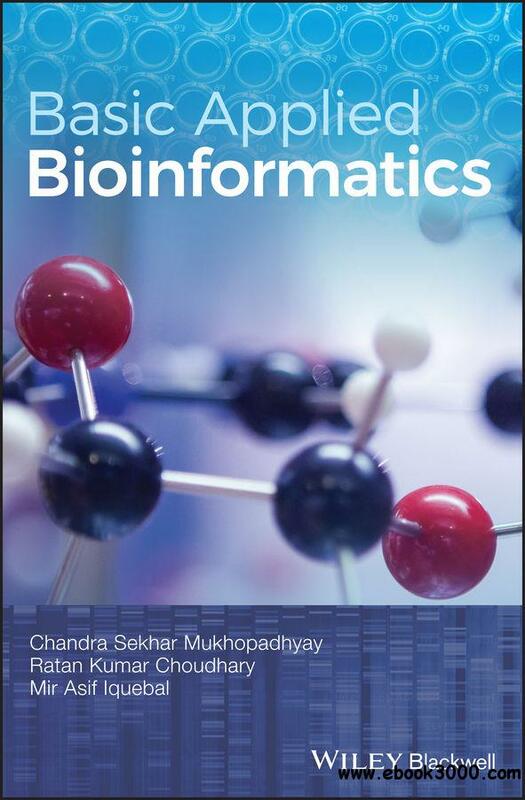 The authors, Chandra Sekhar Mukhopadhyay, Ratan Kumar Choudhary, and Mir Asif Iquebal are noted experts in the field and have come together to provide updated information on bioinformatics. Worked examples, glossary terms, problems and solutions.